Godrej Agrovet is the market leader in the domestic plant growth regulators (PGR) segment and one of the leading players in the cotton herbicide segment. Godrej Agrovet is a pan-India diversified agri-business firm that offers its products and services across five different business verticals, viz, crop protection business, palm oil, animal feed, dairy and processed foods. Crop protection and palm oil businesses that together contributed around 30 per cent to the overall revenue in 2018, along with recently-announced government measures such as Income support scheme and setting-up of Rashtriya Kamdhenu Aayog are expected to drive the growth of agri-business company Godrej Agrovet. The company, which debuted at the bourses on October 16, 2017, is a pan-India diversified agri-business firm that offers its products and services across five different business verticals, viz, crop protection business, palm oil, animal feed, dairy and processed foods. Although the shares of the company have remained muted till date with the price falling 13.14 per cent during the period (as of Monday's close) as compared to a rise of 18.5 per cent in the S&P BSE Sensex and 7.3 per cent in the S&P BSE 500 index, analysts believe Godrej Agrovet is on road to becoming an agri-behemoth, thanks to its extensive reach in the market and investment in research & development (R&D) of advanced products to cater to the evolving market needs. Godrej Agrovet is the market leader in the domestic plant growth regulators (PGR) segment and one of the leading players in the cotton herbicide segment. 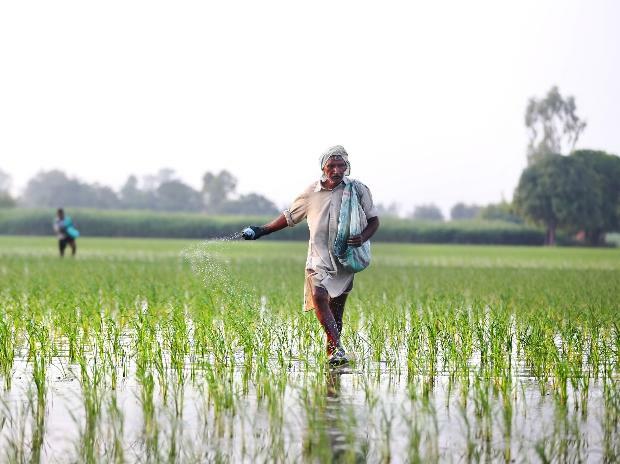 In addition, through its subsidiary — Astec (merged last year), the company has a strong foothold in the triazole group of fungicides, selling in India and 24 other countries. This, analysts at Motilal Oswal believe, would ensure its consolidated crop protection revenue will grow at CAGR (compound annual growth rate) of 15 per cent over FY18-21E. The brokerage recently initiated the coverage on the stock with a “buy” rating. Palm oil segment is another cash generating business for Godrej Agrovet, which is expected to deliver revenue CAGR of 11 per cent over FY18-21 to Rs 804.6 crore by FY21, courtesy increasing availability of fresh fruit bunches (FFBs), increase in oil plantation area and improvement in the oil extraction ratio (OER). There is a huge demand for palm oil in India and to increase the supply of fruits for palm oil manufacturing, the government has introduced a program to promote its cultivation, analysts say. Godrej Agrovet, which is India’s largest palm oil processor, is well placed to capitalise on this opportunity, say analysts at Motilal Oswal Financial Services. That apart, various schemes initiated by the government to help farmers such as income support scheme, extension of the interest payment scheme; Rashtriya Kamdhenu Aayog for scaling up sustainable genetic upgradation of cow resources and setting up of the separate department for fishery, will allow them to invest into innovative products to help increase the productivity, says Centrum Broking Wealth. The brokerage has ‘buy’ rating on the stock with the target price of Rs 638, up 23 per cent from the current market price (CMP). During the financial year 2015-18 (FY15-18), the company reported revenue, EBITDA (earnings before interest, tax, depreciation, and amortization) and adjusted PAT (profit after tax) CAGR of 14.4 per cent, 17 per cent and 4.1 per cent, respectively. However, third quarter of financial year 2019 (FY19), turned out to be weak, due to sharp increase in the key raw material prices across feed categories and higher sale of traded products compared to its branded products in the crop protection business. Further, due to a poor monsoon this year, farmers had lower cash flows for payment. As a result, it witnessed some payment delays during the period and as a precaution, the company said in its Q3 earnings conference call. The company’s consolidated net profit fell 13.23 per cent to Rs 45.25 crore, while net sales grew 19 per cent to Rs 1,448.41 crore against Rs 1,217.97 crore, ACE Equity data show. However, the company says it was a temporary blip and improving macros along with better rural policy augur well for its prospects. Going ahead, Centrum pegs the revenue growth at 12.1 per cent, 11.6 per cent and 11.7 per cent in FY19, FY20 and FY21, respectively, mainly driven by in-house R&D expertise in its different business verticals and vast distribution network. EBIDTA / operating profit, according to the brokerage is seen growing at 8.1 per cent, 8.6 and 9 per cent, respectively during this period, while the net profit is expected to grow over 20 per cent in both FY20 and FY21.